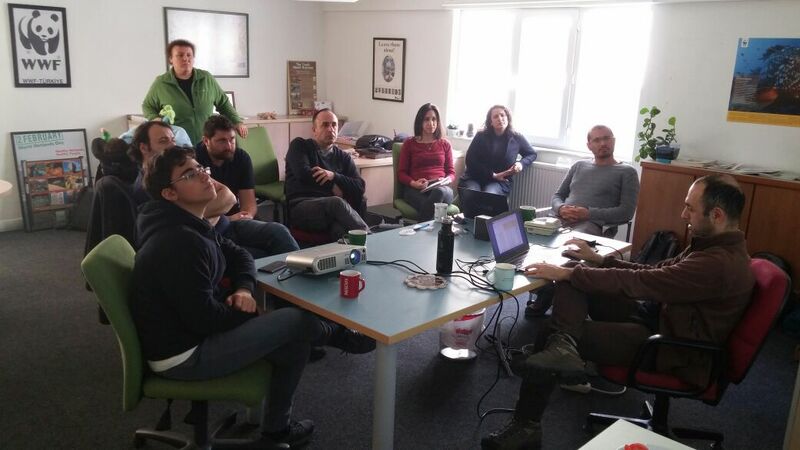 The Turkish Bird Records Committee has been formed in 2015 as a co-owner of the Turkish eBird Portal, together with Cornell Lab of Ornithology and Doğa Derneği. It’s member has been acting as reviewers at Kusbank Online Bird Database in the past and eBird Turkey now. Turkish Bird Record Committee respects other committees, such as Species Committee of Trakus.org, a Turkish bird photographer portal, however encourages to document all sightings of rare birds appropriately. The Turkish Bird Records Committee (TBRC) comprises Kiraz Erciyas, Korhan Özkan, Kuzey Cem Kulaçoğlu, Mustafa Erturhan, Nizamettin Yavuz, Ömral Ünsal Özkoç, Kerem Ali Boyla (secretary) and Ali Atahan (observer). Claims should be entered as a sighting to eBird portal, http://ebird.org. More information is found at : http://www.kustr.org/kuskayitkomitesi). The committee is thankful to Dr. Nik Koch, who generously supported a start-up meeting in October 2010 at Lake Bafa.